I was curious about the Bengal being taken out for exercise. Are they different that way.? I thought most cats prefer their same home life rather then taken different places. Hello from the northeast USA! I didn’t know Bengals required quite so much exercise. They are definitely too active for me. I’m so glad you adopt rescued animals. Thanks for sharing your knowledge and experience. I have a Bengal and a Savannah I agree with what u say I spent 2 years researching this breed and I was not disappointed but I am a dog person and that’s part of the reason I got them. Where I disagree is the young children my cats love them and I feel they can be great family pet if you teach the children how to care for them properly. I always tell people how hard it is to look after them it’s takes an incredible amount of my time and money to care for them properly but me personally wouldn’t have it any other way and they give me lots of fun in the process, used your video’s for the harness training as it was the best way by a mile to do it only took me about 2 weeks to get them ready. Keep spreading the word more of a dog person’s animal than a cat. Hello, thanks so much. I’m thinking about making more tutorials, just thinking about it, but I’ll need to start a Patreon page if I do. Hi, thank for the comment. it’s somewhat true, if they don’t ever experience the outside world, they don’t miss it as much. Although instinct will tug at them for a long-long time. But I want/need my cats to experience different places because of the filming I do, and sometimes we get called on set. Even if I didn’t do filming I’d still wAnt my cat to get out and see the world. As a Bengal owner myself, I found every point to be very true for myself. As I wrote on the Catmantoo Facebook page people see my kitty and love her color, softness and personality. Then they express the desire to maybe get a Bengal for themselves. I always encourage them to do their research on the breed first. Bengals are not conducive to a too much laid-back lifestyle! Thank you, Robert, for educating people about Bengals. Boomer is so beautiful. He and Didga (gorgeous, too) are quite the characters! I have a 2 year old Silver Bengal who you can find on Instagram as @phoenixthebengal . I did a small amount of research and my only surprise has been not wanting to be carried unless in a box or basket and no lap time. Previously were owned by a Lilac Burmese who lived for 18 years 100% indoors. I would have to say that at the same age the enegery levels, running and naughty behaviours were matched. While he is completely his own cat he also interacts with myself, husband and daughter all differently. It is so interesting to see the different relationships he has with us all. For example he treats me much like another cat, walks up and bites me to play or brings a toy to play with. He doesn’t do this with anyone else. I would not say he is like a dog as he is not affectionate like a dog. We haven’t done leash training as he is 100% indoors. It is my opinion that leash training brings a curiosity for the outdoors and leads to escaping where an indoor cat learns where their boundaries are. I am curious to know what you think about that. All my bengals have been very food motivated! My latest Bengal is very picky though and doesn’t care for most food or treats, but none of them have been able to resist freeze dried chicken treats. Agree with them not liking to be held or learning to stay off the counters! Have to take him with me everywhere like a dog though or he starts to get bored at home and then starts getting into trouble! Good to know, and good to hear from other Bengal people to confirm my opinion. A curiosity to the outside world is always there, it’s instinctive. So whether it creates more curiosity, I don’t care, I think the benefits experiencing the outside world (on a leash), outweighs keeping them strictly inside. First Boomer has learned when he goes out, once the leash in on, then he’ll walk out the open door. He get’s experience walking around the neighbourhood and knows how to get home if he gets out, going places with me makes him tired so when he gets home he sleeps more, he still plays and bugs Didga at times but nothing like I think he would be if he was pent up all day inside, animals redirect pent up energy/anxiety towards people or other animals. Boomer loves going places and being part of the action, I couldn’t imagine not having him enjoy those things. The best part is he sleeps all night long. He’s still young but as he ages, he won’t have as much desire to go out because he’s been there, done that sort of thing, he’ll prefer to stay home, but boy did he go places. Didga has been that way for the last few years, I can let her roam around the backyard supervised and she comes when I call her. Boomer will be able to do this in a year or two. I’ll love seeing him explore off leash when I have more control of his bird obsession (I hope to control). thanks again. Good list, much of it disagrees with my experience with my F7 female, but one thing is for sure. She is far more aggressive than most cats with the other cats of the house. She coexisted just fine with my big male Siamese, who outweighs her handily, but when I met my wife we combined cat families. She now has two much less aggressive, and much less wary cats that she picks on constantly, and while I’ve given them plenty of room to get out and play in the back yard (overhanging fence) the whole lot of them is now very territorial as a result of her over aggression. But, she is truly affectionate, and very loving to the humans of the household, and she’s been a lap cat since day 1. Hi, I have four cats and a dog. Three cats were stray kittens, the fourth I dreamt about him and he arrived. My dog had been abbandoned. She was already three years old said the vet. They go along well together. I brought Cirilla the dog to train because she is half pitbull. She has a high temperament but only with other dogs with people is always belly up asking for kuddles. I discovered a great thing during our training together. The one who was trained was me! I learnt to look with the eyes of a dog and be the “alpha wolf”. I am more cattish in many ways. The thing I like about you ‘if I can espress my opinion freely, is the respect for these two cats. The risk was to create two ‘circus’ freaks. Robert this information on Bengals was very thorough and complete. Besides being excellent at what you do with Didga and Boomer, you’re very passionate and articulate and you have a big following of fans like me. The videos are fantastic. Thank you for sharing them and I’ll be looking forward to your next rescue kitty!! hi, we were given a Bengal 15years ago who was exactly like you describe and we loved him so much we felt we could only replace him with another Bengal. our new kitty is one now and so unlike what weve known about Bengals. He is an anxious cat who loves my lap, is easily dominated by our other animals, hes not overly energetic and needs lots of support to handle changes around the house. We still adore him but we wonder if we ended up with the runt of the litter sometimes. Hi Robert, I have to agree with all you’ve said about your Boomer. I have a rescue cat, *apparently* part Bengal, who had been sent to the RSPCA for being too difficult. Even the foster carer had problems with her, and she was nearly 1year old before the RSPCA put her up for adoption. I hadn’t done enough research, and was initially blown away by how little like any other cat I’d had she was/is. In saying that, after 2 years she’s finally settled in here so she owns us now. Kira’s really only my cat, but will tolerate my husband or son patting her occasionally. I was told not to have another cat or dog with this one, but when my mum died I took in her old Sheltie Sasha. Turns out my kitty was quite happy to rub up against her and spend time with her. Sadly she wasn’t with us long, but at least I was able to see Kira interact with another animal. These days Kira is happy to sleep all night, and only be attention-seeking in the daylight hours, but if she doesn’t get the attention she craves, she can be very destructive, so I can understand why some people get disillusioned with their Bengal. Keep up the good work, I enjoy your adventures with Didga and Boomer! Thank you, Robert. Interesting info on Bengals. I, myself, would never think of a pure breed. Shelter pets only! If you do foster, please, appreciated if you don’t let us fans get seriously involved. When you let Leonardo go, I found it painful because he had bonded with Didga & Boomer. Plus, I will always wonder how he is. Maybe a Barn cat?? I love your Kitties, love your videos. You are a wonderful Cat Man. I have to say my 2 are pretty typically Bengal. One unfortunately had a heart issue and died at age 6. Yuki is now16 and still freezes if you pick her up. She is never going to be cuddly except on her terms IE cold in bed cuddling hot on her own bed. But insists on being near you = happy Bengal. Use to love playing soccer and fetching sticks but with a bit of arthritis tends to looks at the paper ball and then you as if saying you pick it up! But there are times you’d think she is a big kitten love story to run like a lunatic. If it wasn’t for the issues with jumping she’d still be on the bench. I stopped watching your site months ago, after seeing Boomer lunge at Didga and appeared to bite her neck or shoulder area ! I was too afraid of seeing him do worse harm to dear Didga , so I stopped watching. Your Article was honest and I wouldn’t get a bengal because every one I met who had one ended up taking it to a shelter; the only reason they got theirs was always looks, Tiny kitten society (Shelly Roche) rescued a female snow bengal who was used as a kitten mill in a back yard breeding enterprise and they didn’t get vet care for any of the things afflicting including a uterine infection!! And gave birth to the only kittens she got to keep: She slept with them clasped to her chest . After spaying and neutering, A woman adopted the whole family of 3 !! There are many beautiful loving cats at rescues everywhere, so adopt don’t shop ! Thanks for giving people the pros and cons of bengal ownership ! Great article. I love Bengals but they are far beyond my cat skills. I think you’ve done a great job sharing your insights. That was very helpful thank you. 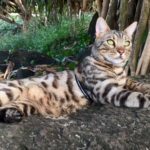 I have always wanted a bengal but this blog really helped me to understand the work involved so i think i will hold back until later on in life. At the moment i have a Bombay that i got fron the shelter. He is beautiful. I would love to read more blogs on vreeds and healthy cat ownership behaviors from you as it is very helpful. This info for Bengals is brilliant, you’re so right with all these points. My Bengal loves the Maclaw Wheel to run on but it wasn’t enough so I have been letting him outside for the last few months & he loves it, we’re lucky to live in the country side and he’s learned NO BIRDS! Looking forward to meeting the new cat once you’ve chosen her. I think you read that wrong, They play together a lot, Didga lunges (in play ) at Boomer and bites the same way. Do they take things a little far sometimes? yes, but that’s normal, human kids/siblings do the same… play until one takes it too far. You don’t have to worry about Didga, I’m WAY ahead of you, I’m the professional, plus her daddy, I do all the worrying when needed. btw – if/when Boomer does go too far, I would NEVER film it or share that on my site. That’s not my style. This is a great post! I have two bengals and they’re exactly like you describe the breed here – except they’re both definitely lap-cats! I’ve been a dog person all my life but when I heard about this breed, I had to get one, and it was definitely the best decision of my life. I am looking for a cat I an leash train and take on the road camping ECT. You Bengals look great but I am glad you got the information out that it just not that easy. Is there any other breed you would suggest or does it just take a lot of training and luck? My Bengal, Ansel, is a 15 year old F3 with BST markings and gold glitter. He’s a beautiful cat that was taken from a home with 2 other Bengals and 9 other cats. They had tried everything to “domesticate” him after letting him try being an outside cat almost got him killed when he took on a dog pack. Yeah. Everything, including declaw him. They insisted on him being an only pet, which is a very good thing because he hates every other animal with a passion. He’s not a lot of work now, but for most of the time we’ve had him (10 years) he’s traveled with us and went out on adventures on his leash. He’s talkative, whiny, demanding, adores attention from every adult in the house and damned if he isn’t a lap/chest/shoulder cat. Hard to do when you need to be on a computer from home in order to work. He chitters at birds and squirrels out the window, and at me when I sneeze and startle him. He’s the biggest part of my heart and my baby boy. I will say, I could line the entire kitchen floor with aluminum foil and it wouldn’t bother Ansel at all. He’d figure out how to ball it up and play with it. He looks at me in the mirror if I’m behind him, instead of turning around. He waits for me to get settled in the recliner and then climbs up and curls up between my legs, on my legs or God forbid, on my chest. Every day if he can. So no two are exactly alike. I would agree with most of the do’s/don’t’s but most people don’t do this kind of research before buying an exotic animal. So if you do the research and decide you have the time and energy for a Bengal, please visit the rescue sites first before going to a breeder for a kitten. There are so many abandoned bengals in need of a home. Hi Cyndi, Thanks so much for sharing your Bengal experience with us. I too am looking forward to when Boomer will be more of a lap cat, but it could be several years from now. Jonna, thanks a bunch for sharing your Bengal experience. I agree, they can be more work than a dog at times. I fell in love with the breed back in the late ’80’s, but it wasn’t until ’99 that I brought Faji home. He was nine weeks old at the time and came into a household with three female moggies, all rescues. From the first he was a snuggler, though, and his sisters adopted him readily. I called them “Hairy Spotter and the Moggles”, but that didn’t give them a complex. Faj took to the harness readily, and it was uncanny the way he’d walk up to a tree and then just change gears and walk up the tree, as if gravity didn’t exist. Once when a squirrel was mocking him from a dogwood tree, Faji went up quickly while the squirrel was in mid-tirade and said “Hiya” to it. Squirrel’s eyes got as huge as they could and he hopped quickly to an adjoining tree. I also found that Faj had an innate gentleness with kids, as though he understood they were like kittens. I have to agree that Bengals aren’t for everyone, though. You may have to choose between knick-knacks and a Bengal, ’cause they may make it a joyful life mission to destroy things that are so vulnerable to gravity. For me, that was no problem, because there is no inanimate object as beautiful or loving as a critter. Faj was my soul-mate for 15 1/2 wonderful years, and a better companion I’ve never been blessed with. Just be willing, if you choose a Bengal, to give up on the concept of “normal”, be ready to laugh in the face of destruction (because they often wreak havoc with such irrepressible glee), prepare to laugh also at their comic timing and marvel at their ability to understand all manner of things you might not expect from a cat (like vacuum cleaners and gadgets of all kinds), and most of all, bask in the incredible love they offer. My Bengal Peanut has never clawed anything but the scratching post and stays off the counters. She is about 2 years old and was given to me when she was around one, she was close to feral at first and I had to insist that she allow me to pick her up. It took time but I can now hold her up like a judge at a cat show with no fuss whatsoever. She is definitely not a lap cat but will cuddle up just within reach of my fingertips. She rarely comes when called but will play fetch enthusiastically until exhaustion with the right mouse. My SBT Bengal (Jeanette aka Jeanettasaurus Wrecks) is as you describe. Very vocal/talkative. A menace with fur. Bull in a China shop. Complete LOVE pig. High energy and high maintenance. Likes sitting/riding on our head. Plays well with our Savannah F7 breed cat. However, MUST be kept completely separate from our 2 older Siamese (thinks beating them up is a sport). Practices catch & release mousing. Catches them in the garage and releases them in the house. Strictly indoor cat (outdoor pets in my neighborhood are called “snacks ” for the local wildlife). We love her!!! I rehomed my Bengal for many of the reasons you mentioned, that his breeder did not tell me. Very sweet cat, loved my dogs, trained to behaviors cats normally won’t do. But besides all you said he was destructive beyond belief. He removed the carpeting from a spare bedroom, by pulling it up from underneath the baseboards. He ate the seat off my exercycle. He could open any closet door and haul out what was in it, then shred those things. He went to an experienced friend who had worked with large wild cats and was retired with other cats too. He never let up even in a more stimulating environment with 24/7 attention. Thankfully new owner didn’t mind. What does F7 and F6 mean, please? BTW, I agree wholeheartedly with your comments. We have 2 Bengal/Cross female cats that we adopted from kittens. The eldest is 7 years & youngest 4 years. Our eldest is not a lap cat at all and she only loves her mommy. She can be aggressive at times so I have to warn visitors not to try and stroke her. She learned to walk on a leash from young, but as we live in an apartment I could not keep her indoors for very long, she will claw her way out or as you mentioned in your article they are master escape artists. Our youngest are the complete opposite of the Bengal norm, she is a real lap-cat that loves to snuggle. They have high energy levels and chase each other around the house and yes they sometimes knock things over. We have adjusted our living space for them 🙂 They also fight sometimes, but no biting luckily, just the odd hair flying. I have fallen in love with this breed as there is never a dull moment with them around. i enjoyed the article and it does describe my Bengals well. My older male Bengal is more highly anxious and disappears when people come over. The younger female has no fear, but she has no boundaries either. the female has caught dragonflies out of the air – no bird would be safe if she roamed free. the male has slowed down now at 8 years, but the female at 4 years has not slowed at all. just for the record, both are fixed and both are rescues.I will adopt another Bengal, probably a rescue because many people do not do enough research better buying one. We adopted a 7 year old Bengal twelve months ago and I must say it has been a huge learning curve. She’s like no other cat I’ve ever met before. For a long while, we were wondering if we had made the right decision. She was biting and I ended up at the hospital one night after she attacked my leg (in all fairness, a neighbour’s cat had been harrassing her through a window and at 4am she thought my leg was another cat) and it felt like we were living with a tiger. But we persevered and I’m so glad we did. The biting has stopped and she is the most affectionate cat I’ve ever had. I’ve used the tactic of showing her love instead of rousing on her (if she happened to get out of the yard I would praise her for coming inside instead of rousing on her for being out) and I’m always telling her how beautiful she is (both inside and out). If she does escape, she’s very good at showing us how she did it so we can fix it immediately haha. One time, we watched her as she climbed up a ladder and scaled the cat proofing at the top of the fence. They’re very smart. She loves cuddles, albeit on her terms but I couldn’t hold her at all before. She loves to sit on my lap to the point where I need time out! I can now take her out for supervised walks. She loves to sit and sleep on me and she’s now the first face I see in the morning. She’s slowly warming to my partner. I love her to bits and couldn’t imagine life without her now. It has been an interesting road but I believe with that when they’re treated right, they will love you for life. Thanks for sharing such thorough and good information with us! I have long considered getting a Bengal, but I know the breed requires a lot more than other cat breeds, so I’m still reading and learning about the breed. Something I’ve worried about is the temperatures where i live. I live pretty far up north in Norway where it can become pretty cold in the winter, and even in the summer as well. Temperatures can reach as low as 14° F in winter, and stays between 41° F and 68° F in the summer. Is it possible to walk a Bengal on a leash in winters as cold as we have here, or is it more responsible having an indoor Bengal? Thanks again for sharing your experiences with us! My bengal loves going outside into the backyard on a harness, but is petrified of the front yard/anywhere else. He is very anxious and scared around people and loud noises. It’s not ideal, but he does have a great time in the back. Do you think the breeder didn’t socialize him enough? Or maybe it’s just his disposition? Also, what do you use to prevent fleas? That’s one thing that’s making us hesitant to take him out more. At 2 yrs old, he is definitely a very active cat. And if he is not being stimulated enough, he will make it known! Wouldn’t recommend a bengal to anyone who cannot invest the time – they would end up driving you mad with the meowing and destroying the house. It really only takes a couple hours a day of direct attention, which may be too much for some people. Another thing I noticed is that my bengal just wants to be around you and lie next to me after a play session. He actually sleeps on my lap (only mine and my father’s) at night when it gets colder. Overall it’s very rewarding to own a bengal, he makes me laugh everyday. I don’t really know, Asian Leopards are mostly in hot humid conditions? Boomer likes cooler temps but snow? VERY ACTIVE BREED, I take him out EVERYDAY sometimes twice a day. AWESOME! thanks for sharing your story. Thanks so much for adopting an older cat, not many do that. Thanks for sharing your story. So glad to hear they were rescues. They are very lucky to have you. but the easiest way to remember is “From” or generations “From” F7 is 7 generations from the wild cat. Thank you so much for sharing your story and experience with Bengals. it helped me to make my decision. Hi! Enjoyed hearing your experience and tips on the mighy Bengal! I am a Bengal owner and agree with your advice! Think I can add some information on the older Bengal. Rani (male) is 14 years young!! He certainly has not slowed down and shows no signs of doing so anytime soon. If he was allowed he would be at my side all day and night. He never sleeps during the day and then not until he is put in his room with the door shut so we can get some sleep. He will do whatever he can to get attention. Rani has made a lovely companion cat to my autistic son and he fully understands that my son is special and treats him that way. He allows my son to rough-house him and if he chooses to tell anyone off it is usually the dog! Rani is very sensitive to emotions and women’s issues (not sure if this is a male Bengal thing) and can get a little aggressive at certain times of the month! I know, a little bit too much information, but maybe a warning to potential owners!! I couldn’t imagine life without him but it would certainly be quite without him!! Very interesting read! I have two senior cats 15 & 16 yrs young myself and the 15 yr old sounds just like the description of the temperament of the Bengal but he doesn’t have the markings of one. The vets always told me he was just a high maintenance cat & that I had to create a simulating environment for him… I wonder if he has some Bengal in him? Or maybe it’s just him temperament. Like you, I always have to keep an eye on him he’s always into things and up to no good!!! Attacks the other cat for no reason sometimes… needs activities and playtime. Will I have a Bengal for 1-year-old, while every time I take him outside he is very scared. He seems not very enjoy walking outside but wants to just stay in home. As I type, my Bengal Inigo just went zooming by. I initially got Inigo as a companion for my siamese rescue Iggy when I moved with him to a new home that separated him from his cat friend. Iggy was about 3, and shy, but better with animals than people. Inigo annoyed Iggy at times, but he adopted him right away with grooming, playing, and cuddling. Now Inigo is 2 and Iggy is 5, and they still chase each other through the apartment and play and groom and cuddle. However, Inigo definitely does the bully thing like Boomer does to Didga where he jumps on Iggy’s back and bite his neck, usually clumps of fur come out but no wounds I can discover if it happened when I wasn’t at home. I think the difference here though is that Iggy is a forgiving boy, and he always wants to play and love on Inigo regardless of the bullying. One other comment I do have for my experience with a Bengal though is food sensitivities. Through trial and long suffering we have found out Inigo is allergic to all poultry and also rabbit, which was evidenced by bloody diarrhea. Multiple vet visits and several courses of probiotics later, along with a shift to a fish protein diet has rectified this, but it’s been 3 months of poopy hell, and I have a friend who also experienced this in one of her Bengals. I call it a downfall of a “designer cat,” and tell myself it’s back to adopting next time i get a cat, but i feel part of me will always be attracted to the energy of the Bengal breed. They’re good on cat allergies, too. Very interesting. I have always been a “dog person”- Rottweilers. When my last one passed away i decided to get a cat given my long working hours. Decided on a Bengal. Needless to say my Rottweilers were easy compared to “Venus” my Bengal. Gave up locking her inside as she hated it. She is a very free spirit with lots of energy and basically does what she wants to do. Everyone in the neighborhood knows her as she likes to go visiting and goes into their homes. Quite funny really. She is definitely not an affectionate cat and is a big talker. She is 14 months old so started to be a little calmer. She is not afraid of anything and very inquisitive. Not sure if it is just my Bengal but she is a very fussy eater and does not each that much. Thanks for the overview on Bengals, your comments are pretty spot on! I have two rescued cats, Syko who was adopted as a kitten and Angel who came into our lives as an 18 month old. I would never get a Bengal after reading your article, so I will have to simply admire them from afar… but really appreciate your honesty and candid comments. Love your tutorials, and am seriously considering becoming a Patron to assist you with your work and aims for educating folk more about cat-care and education. Keep up the great work, and I look forward to seeing more of you, Didga and Boomer and the rest of your Cat-Clan in the future! Hi Robert! Thank you very much for the post. I just adopted a Bengal kitten a few weeks back and this is my first cat (also my first pet). I’m from India. Coco’s very young and also very energetic. I can see him directing his pent up energy towards me a lot of times when I get late from office. I have been looking at a lot of YouTube videos and reading about how to make this the best experience for both of us. However I’m having a few problems that I think can be helped by someone here. 1. He’s 5-6 months old and he did not get a chance to play with his siblings and no one trained him. He still likes to bite a lot. Hands and legs. (lately he’s started scratching my back also). I have tried some methods of making him stop this- like when he bites, stopping the play session, put him in an empty room for 5 min, or clapping or pushing my hand towards him. But sadly none of it seems to work. What would be your advice on this? 2. I see that you have mentioned Bengals love to walk outside. I’ve tried to put on a leash on Coco but he doesn’t like it. He fights extra hard to not get into it. How should I tackle that? Any answer here would be extremely helpful. 🙂 Thanks in advance!